This is the first English translation of first three out of the 7 volumes of the fundamental work on optics by the medieval Arab scientist Ibn al-Haitham or Alhazen (965–c1039). His book exerted a great influence upon science through Witelo, Roger Bacon, Peckham and Kepler. Alhazen investigated many particular cases of reflection and refraction, and drew attention to the light-ray’s property of retracing its path when reversed. He was the first to give a detailed description of the human eye and to study binocular vision. Certain ophthalmological terms originated from the Latin translation of Alhazen’s Arabic text, e.g. retina and cornea. 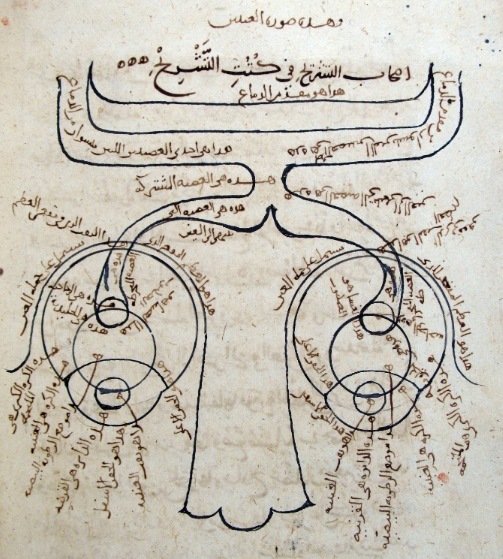 The Book of Optics (Kitāb al-Manāẓir, كتاب المناظر) presented experimentally founded arguments against the widely held extramission theory of vision (as held by Euclid in his Optica) and in favour of intromission theory, as supported by thinkers such as Aristotle, the now accepted model that vision takes place by light entering the eye. Part 1 contains the translation; Part 2 an introduction, commentary, Arabic-Latin glossaries, concordance, bibliography, and indices. Edition of the Arabic text, edited by A. I. Sabra, was published by National Council for Culture, Arts and Letters, Kuwait, in 1983 (Books I-III) and 2002 (Books IV-V). Sabra’s translation of the latter has not yet been published. See also the first episode of Simon Schaeffer’s 2004 BBC documentary series Light Fantastic, “Let There Be Light”, where he discusses Alhazen and others.